You can't help laughing while watching the above video. 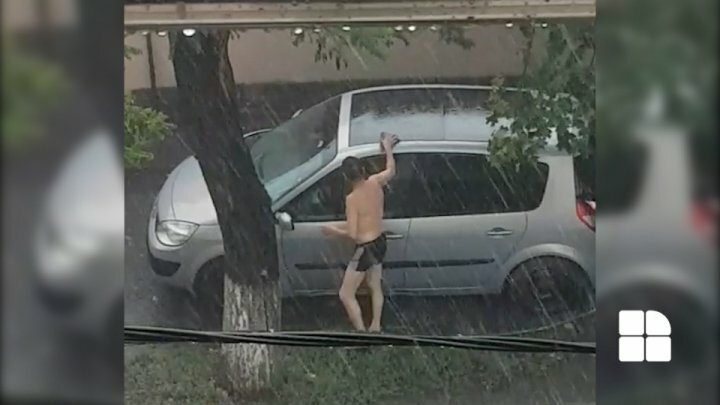 A driver in Chisinau decided to wash his car during the strong rain that paralyzed the city. Only in short, the man quietly wiped his car. The images became viral after being published on social network.